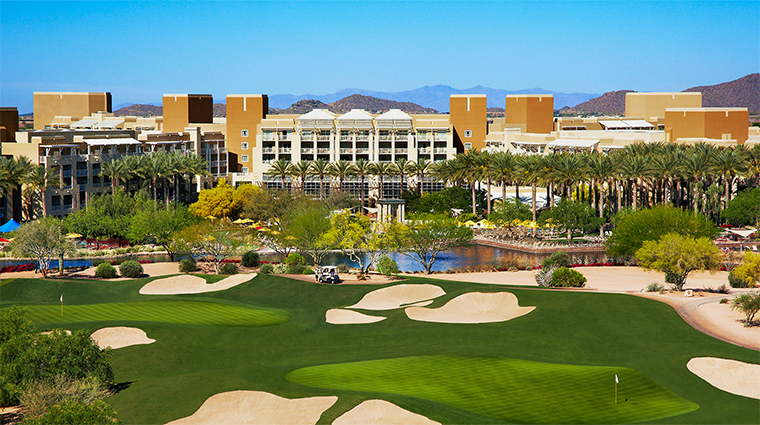 The largest upscale hotel in Arizona, JW Marriott Phoenix Desert Ridge Resort & Spa sprawls across more than 300 acres in the Sonoran Desert offering 950 rooms surrounded by golf courses with panoramic views of the McDowell Mountains. Besides attractively landscaped grounds filled with palm trees, this oversized resort offers so many activities and amenities that you won’t want to leave the property. 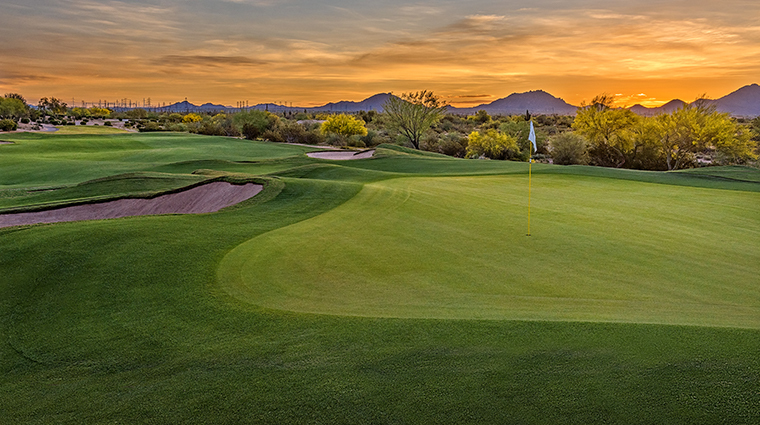 Take a swing at the two championship golf courses designed by Arnold Palmer and Nick Faldo. 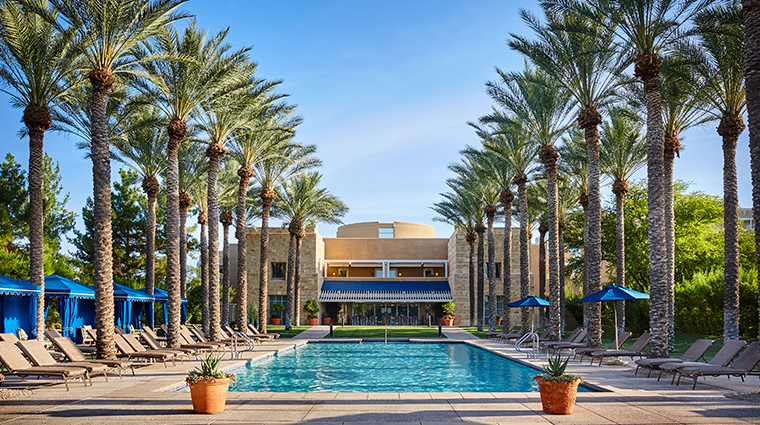 Then relax at Revive Spa, which offers a full menu of treatments along with a fitness center, Spa Bistro and separate swimming pool with cabanas. But you’ll probably want to spend most of your time at the pool area. 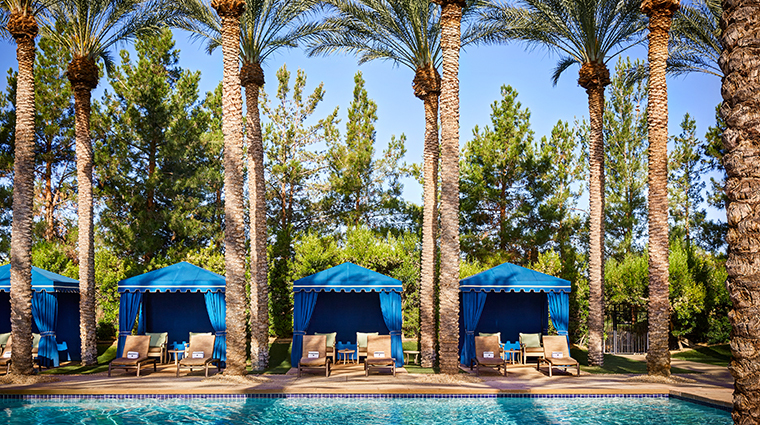 There are four different pools, each with its own theme, including a kid-friendly option with a lazy river and water slide, and the Wildfire pool featuring a waterfall lit with flames at night. When you get hungry, you won’t want for choices. The resort has eight different restaurants that range from casual to fine dining. 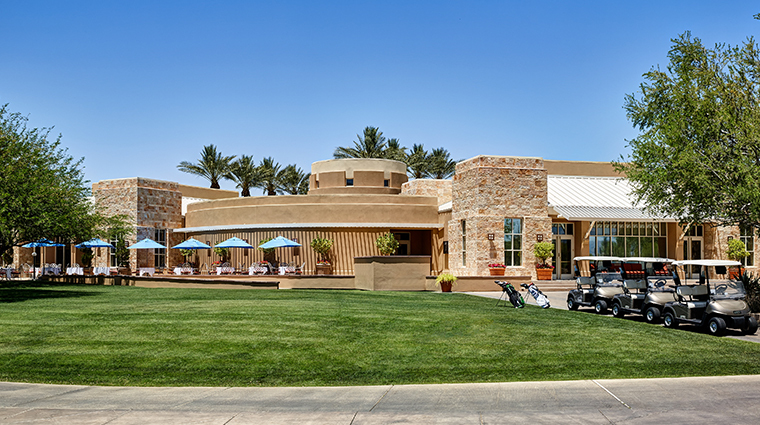 Try Roy’s for famed chef Roy Yamaguchi’s Asian-fusion cuisine, or Meritage Steakhouse at Wildfire Golf Club for a juicy steak that you can enjoy in front of an outdoor fire pit. • All guests over the age of 21 can take advantage of the private JW Griffen Club, which for a daily fee, offers some amazing benefits, like chef-prepared breakfast buffet, lunch, hosted bar and dessert sampling and a dedicated concierge. 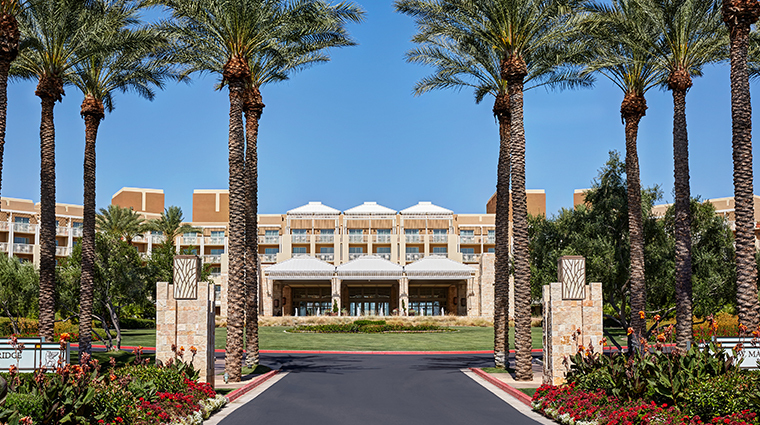 • The Forbes Travel Guide Recommended hotel exudes Arizona luxury, from the palm-tree lined entrance to the pools, water features, cactus and wildflower gardens, into the large, airy atrium lobby’s towering sandstone-brick columns and floor-to-ceiling windows. 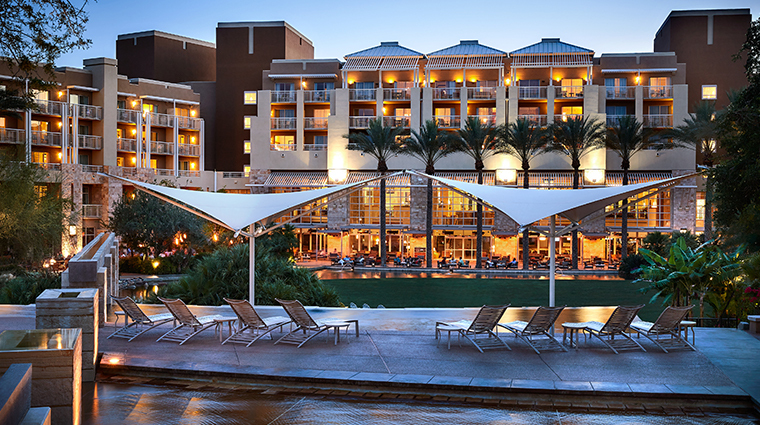 • JW Marriott Phoenix Desert Ridge Resort & Spa has eight different restaurants located on the property ranging from a casual poolside café to fine dining. 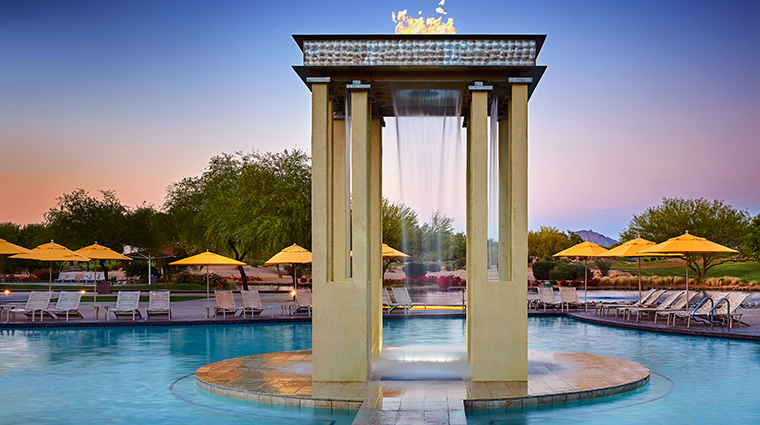 • The luxurious Revive Spa at the JW Marriott Phoenix property boasts a menu of treatments featuring the indigenous desert flora and fauna, like the prickly pear sugar scrub to help your skin feel refreshed after a day out in the sun. 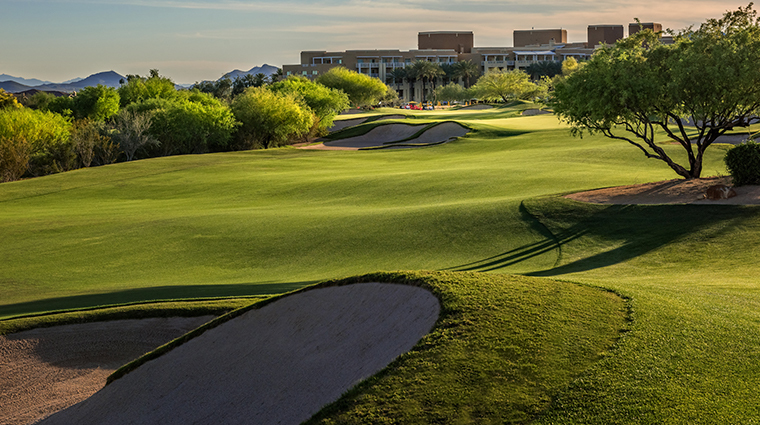 • The resort is a golfer’s paradise featuring the picturesque Wildfire Golf Club, home of two championship golf courses designed by legends Arnold Palmer and Nick Faldo. 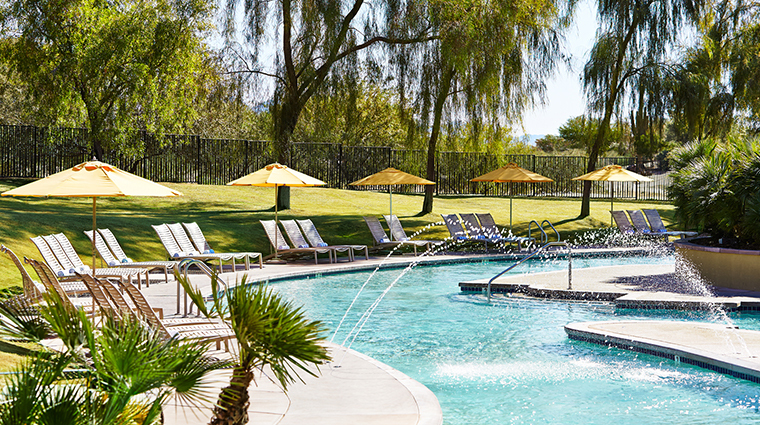 • Four pools and a lazy river will help you beat the heat during the summer months at this Phoenix property, when temperatures regularly hit triple digits. 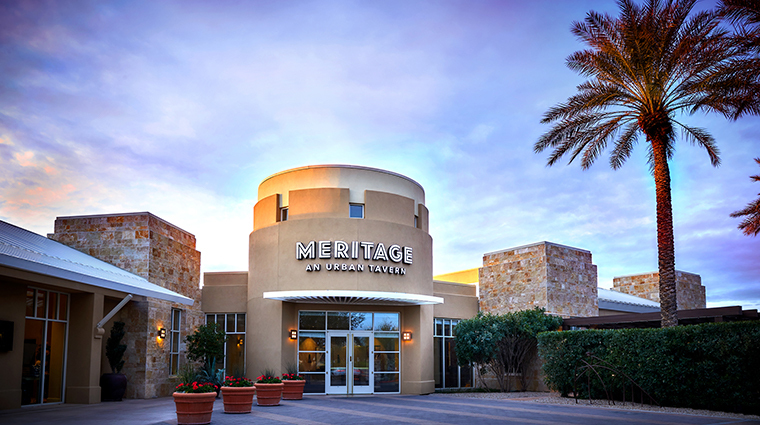 • Shoppers, take note: the Phoenix hotel sits next to the popular Desert Ridge Marketplace and City North shopping centers, which offer numerous stores, food and entertainment options. 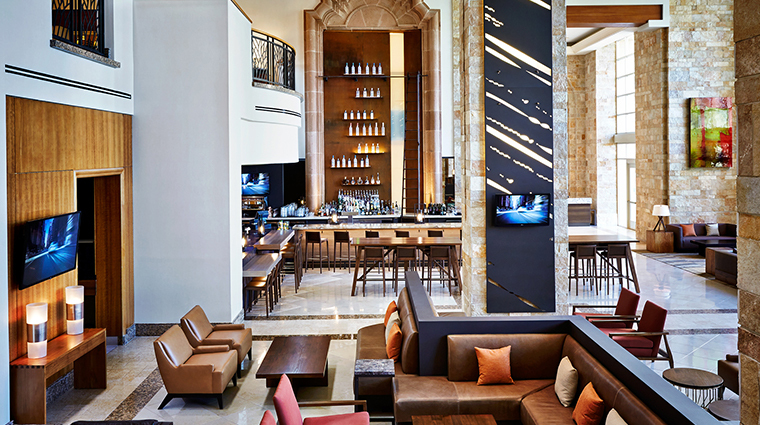 • The Stonegrill bar features 50 tequilas, which you can sample via tequila flight with food pairings for a real Southwestern experience. • The sprawling resort offers two state-of-the-art fitness centers: one located in the hotel and the other within the spa which offers classes for a fee. 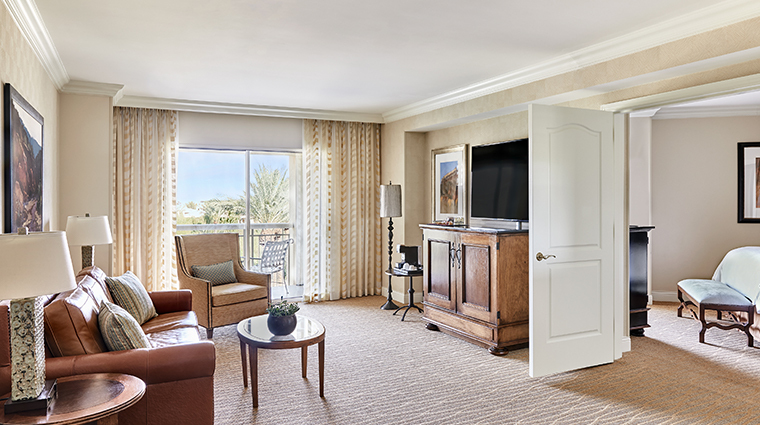 • The rooms and suites at JW Marriott Phoenix Desert Ridge Resort & Spa were renovated in 2011 with new furniture, fixtures, carpet and artwork. 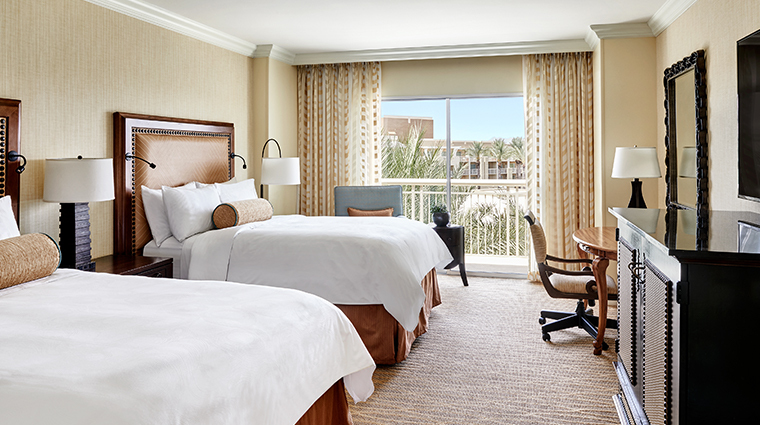 • The rooms were designed with the Sonoran Desert in mind, featuring earthy shades of yellow, brown and cram as well as a balcony or patio so you can take in the beautiful surrounding landscape. 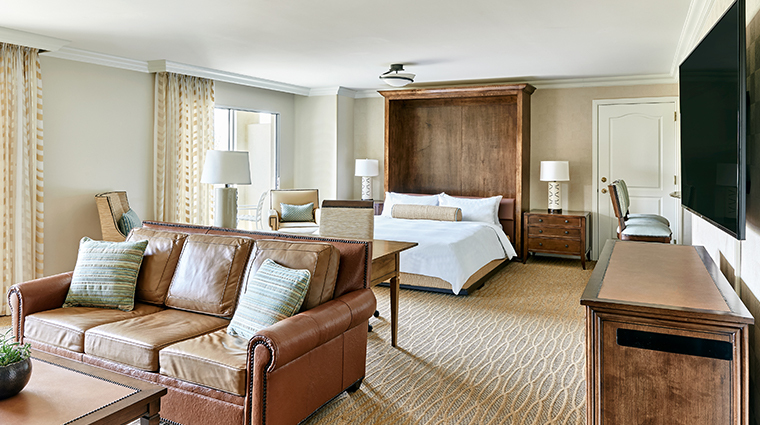 • The 448-square-foot Standard Deluxe Room has either a king or two double beds with a workspace and amenities such as wireless Internet access, a refrigerator, a coffee maker, a hair dryer, a safe and a private balcony. 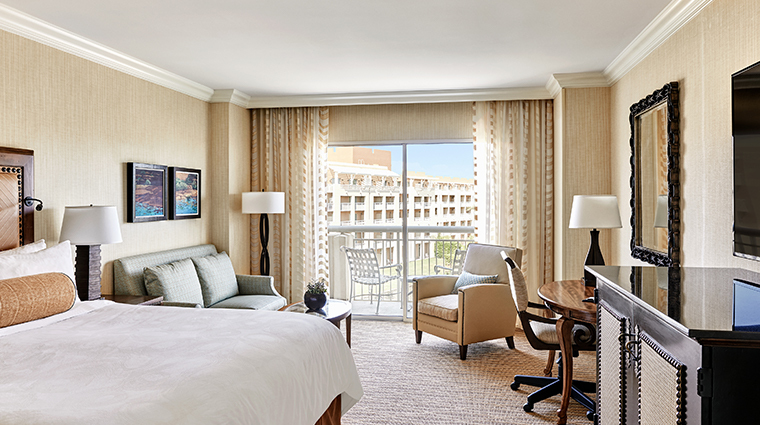 • Upgrade to an Executive Suite and you will enjoy 869 square feet of space with separate bedroom and living areas. The bathroom comes with dual sinks with plenty of counter space and both a shower and a tub. 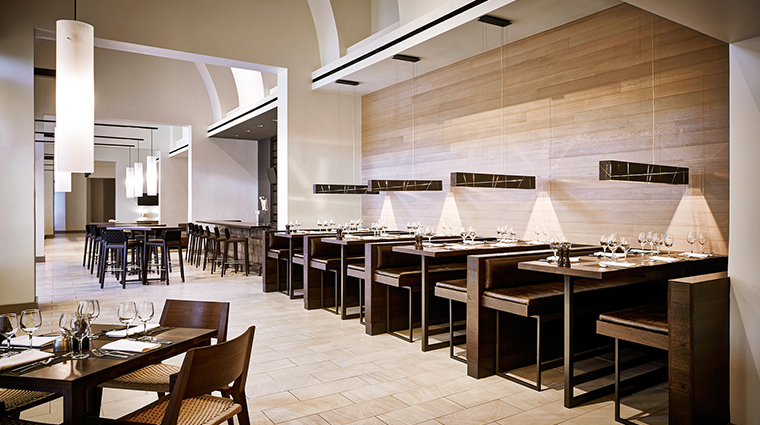 • Created by well-known restaurateur Roy Yamaguchi, Roy's serves Hawaiian fusion, such as roasted-macadamia-nut-crusted mahi mahi, or Thai curry grilled swordfish with black forbidden rice and grapefruit-pineapple slaw either in the indoor dining room or outdoor patio. 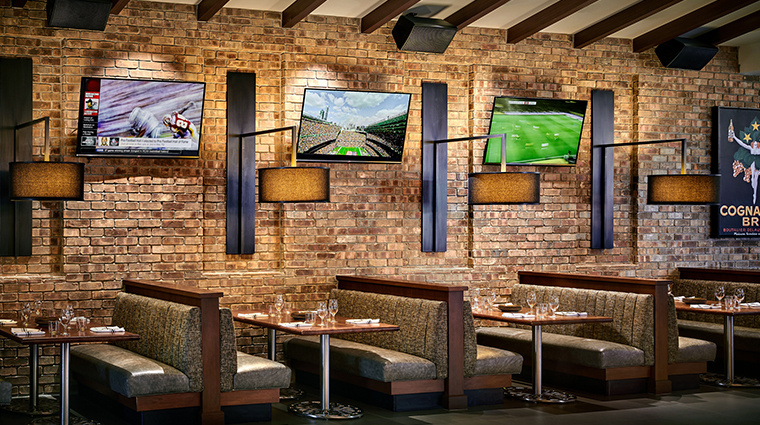 • Meritage Steakhouse specializes in prime aged porterhouses and other meat, wild game, fresh seafood and side dishes in a cherry-wood-filled dining room that offers a country-club-like setting. 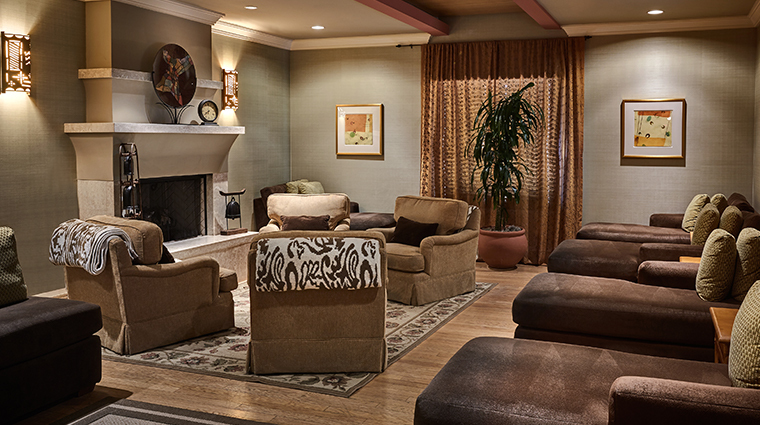 Dine on the patio near the fire pits to get views of the golf course. 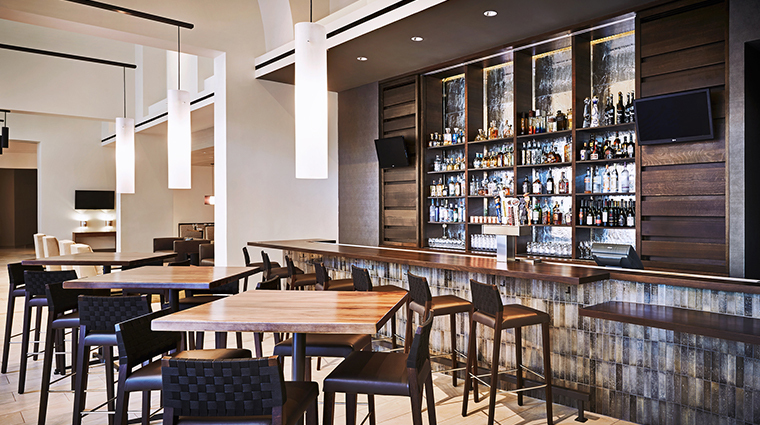 • Open for breakfast, lunch, and dinner, Stonegrill serves up Southwest American cuisine on an eclectic all day menu with options like blue corn pancakes with blueberry butter, sweet onion barbeque pulled pork sliders, achiote tofu bowl and braised chicken mole. 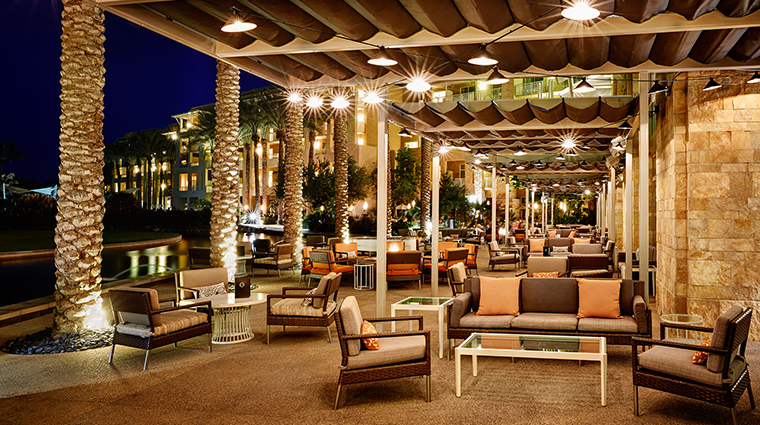 • The other restaurants at the Phoenix hotel include the poolside Just a Splash Bar & Grill, Revive Spa Bistro and the Twenty6 lounge featuring craft cocktails and small plates.